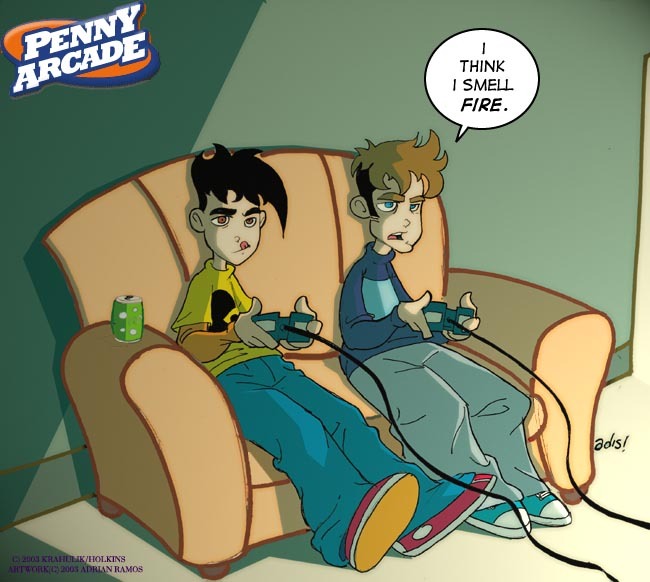 Adis says:It's Fanart Sunday again, and the clear winner this time was Penny Arcade. I don't usually read it, so I spent a while going through the archives to get the characters right. Overall, I'm pleased with how it turned out, and I hope you enjoy my rendition of Gabe and Tycho. Remember that if you vote, you'll see a brand new drawing of the Count Your Sheep gang.